Logo designed by Jake Damon. The podcast will also cover the upcoming Game of Thrones prequel series, The Long Night, which is currently in development. Dominic and Ciaran discuss the sixth episode of the sixth season of Game of Thrones, "Blood of my Blood"
Dominic and Ciaran discuss the the fourth episode of Season Six of Game of Thrones, "The Book of the Stranger"
Dominic and Ciaran discuss the third episode of Season Six of Game of Thrones, "Oathbreaker"
Dominic and Ciaran discuss the resurrection of Jon Snow, as well as its implication for the rest of the season. Dominic and Ciaran break down the Season Six premiere of Game Throunes, "The Red Woman"
Dominic and Ciaran are back to cover the Game of Thrones panel from Hall H at San Diego Comic Con. Dominic and Ciaran reflect on Season 5 of Game of Thrones. What worked? What didn't? They also share some of their personal highlights (and lowlights) from this season. Dominic and Ciaran break down and react to the shocking Season 5 finale "Mother's Mercy." Dominic and Ciaran discuss the 9th episode of Season 5, "A Dance of Dragons." Dominic and Ciaran discuss the game changing episode "Hardhome" and the ways in which this episode has completely redefined what the series is about. 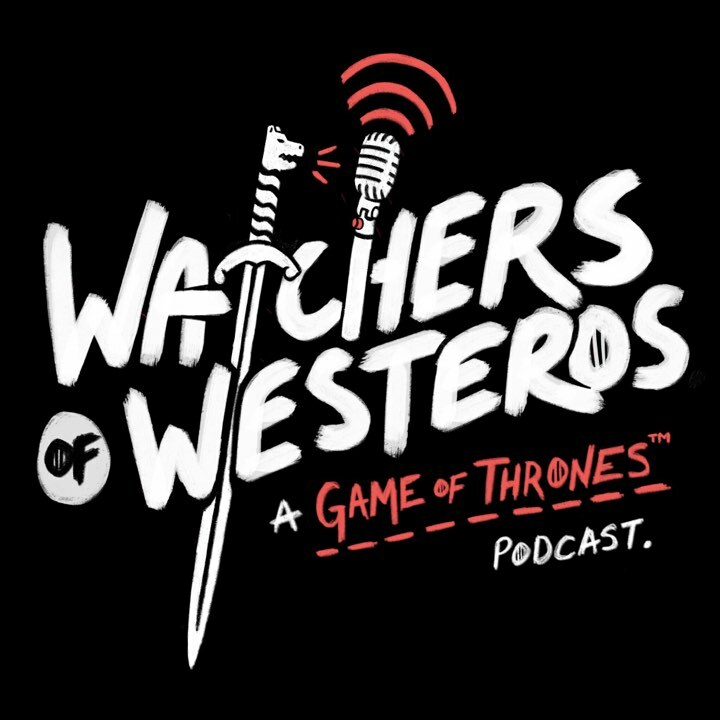 Dominic and Ciaran discuss the episode "Unbowed, Unbent, Unbroken" and the controversy surrounding it. Dominic and Ciaran break down the fifth episode of Season 5, "Kill the Boy." Dominic and Ciaran break down the fourth episode of Season 5 and speculate about the end of the series. Dominic and Ciaran are back to discuss the third episode of Season 5. From Jon Snow to Tyrion to Brienne to Cersei, and everything in between. Dominic and Ciaran are back and attempt to cover the first two episodes of Season 5 in one podcast!